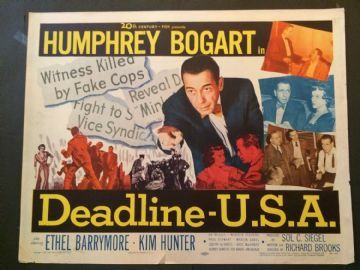 Deadline USA (20th Century Fox,1952) US Half Sheet 22"x28"
With his newspaper about to be sold, crusading editor Ed Hutcheson (Humphrey Bogart) tries to complete an exposé on gangster Rienzi.The poster has a repaired tear on the right hand side. There are some border chips, creases and edge wear. 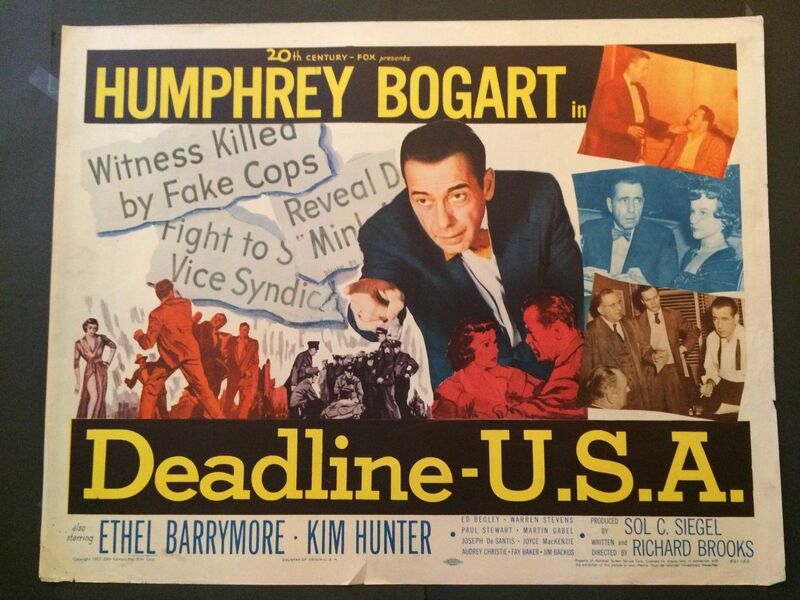 In my opinion a simple paper-backing would do wonders for this half sheet. The poster has never been folded. Displays very well.